The webinar is very exciting for a variety of reasons. 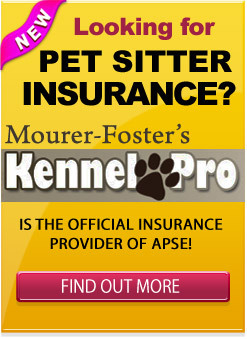 One – It was created exclusively FOR the pet sitting industry. Two – It was created BECAUSE of you, the pet sitter. “When it comes to growing your pet sitting business through Social Media, what is your biggest challenge? Your biggest concern or frustration? And that question makes the most sense because it won’t help any of us to gather 1000 fans, friends or followers if there is no chance of them becoming a new client, right? If the goal is to grow your pet sitting business through social media, how do you zero in on the people in your own back yard, so to speak. Those already in your service area? And equally as important, once you’re on their radar, once they know about you, how then do you become the go-to pet sitter? 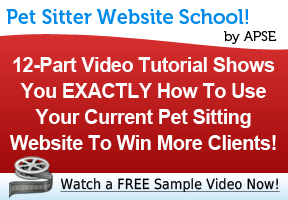 How do position yourself as the pet sitting expert that you are? To answer all those questions for us is our special guest for the evening, Laura Roeder. Now, whether you are attending tonight already knowing of Laura OR if this is your first time meeting her, you’re in for a real treat. Whether you’re part of the web design world, the blogging world, Facebook, Twitter, or LinkedIN, if you’re in the small business or entrepreneurial communities, you’ve no doubt seen Laura’s face pop up all over. She’s a pro who has been at this for some time and clearly knows her stuff. She’s written for literally some of the most popular blogs on the net, presented at the Online Marketing for Women Entrepreneurs, and has been featured in the Los Angeles Times. So naturally, I’m super thankful that she agreed to put something together for us, and couldn’t be more siked for the fun we’re about to have. Get out your notebooks and pens everyone – it’s my pleasure to introduce Miss Laura Roeder.